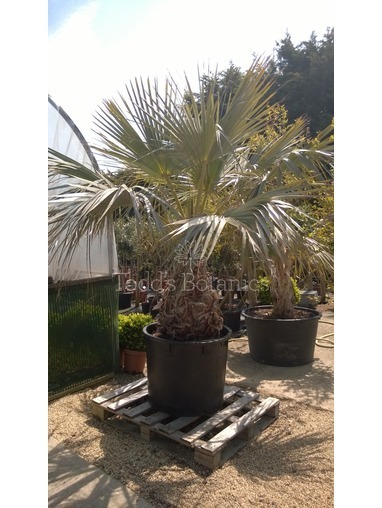 Trachycarpus wagnerianus, or simply 'Waggy' is an extremely robust, hardy palm which is ideal for growing in the UK. 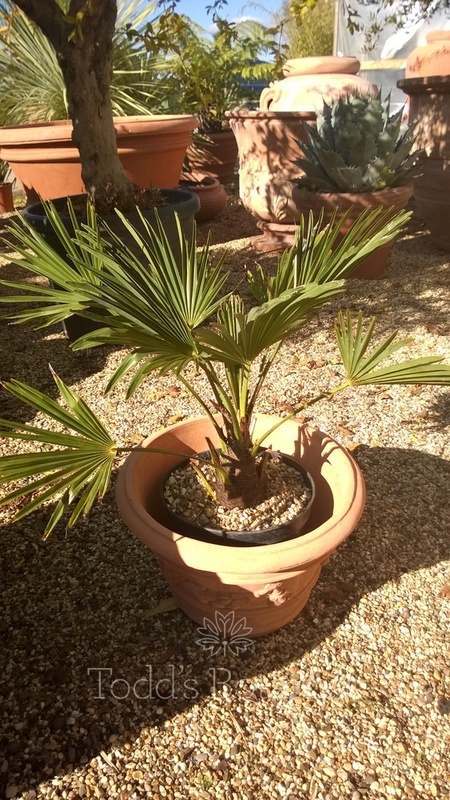 This unusual variety of Trachycarpus is becoming increasingly popular, it is very slow growing but differs from T. fortunei as it has smaller, more rigid and slighlty darker leaves. 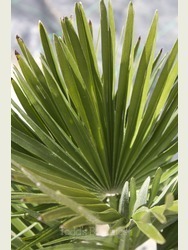 It's silhouette is very architectural and has a more compact form of growth. The rigidity of the leaves help it to be more wind resistent than T. fortunei. 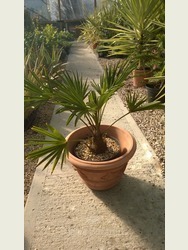 Trachycarpus wagnerianus is very easy to grow, they prefer full sun or partial shade and moist, well-drained soil. At Todd's Botanics we pride ourselves on sourcing and growing the best possible specimens at our award winning nursery. 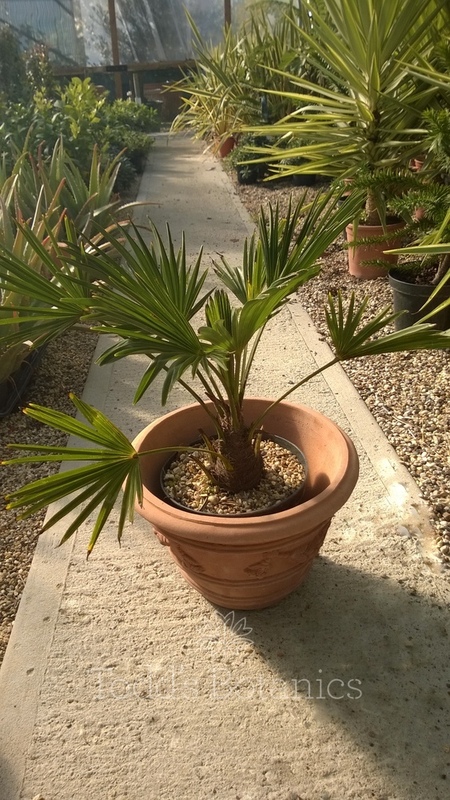 We stock a wide range of hardy palms, each of which comes with a copy of our Hardy Palm Care note. 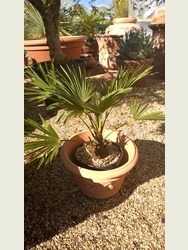 If you require a pot or planter for your plants, we can recommend http://www.vasotoscano.com/ for beautiful terracotta pots. 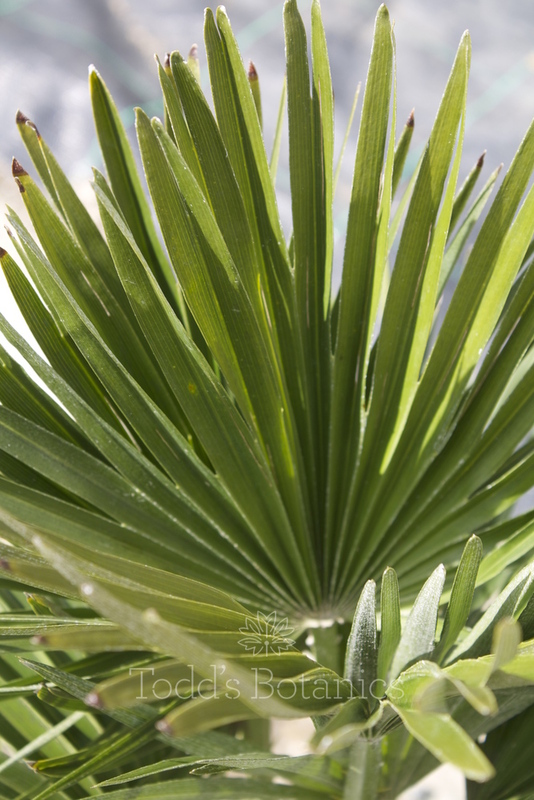 This palm does best in dappled shade, but tolerates full sun and dense shade very well. Strong winds can damage the leaves, so plant in a sheltered site if possible. 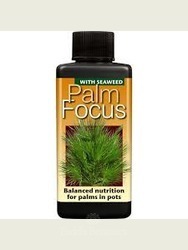 Enjoys lots of nutrients, so pile on the well rotted manure or liquid feed regularly though the growing season. Remove old tired foliage as required. Good rich well drained soil is ideal; however it will also tolerate a heavier clay soil too. If possible water copiously through the summer, it will greatly benefit the plant, little if any water is needed in the winter. 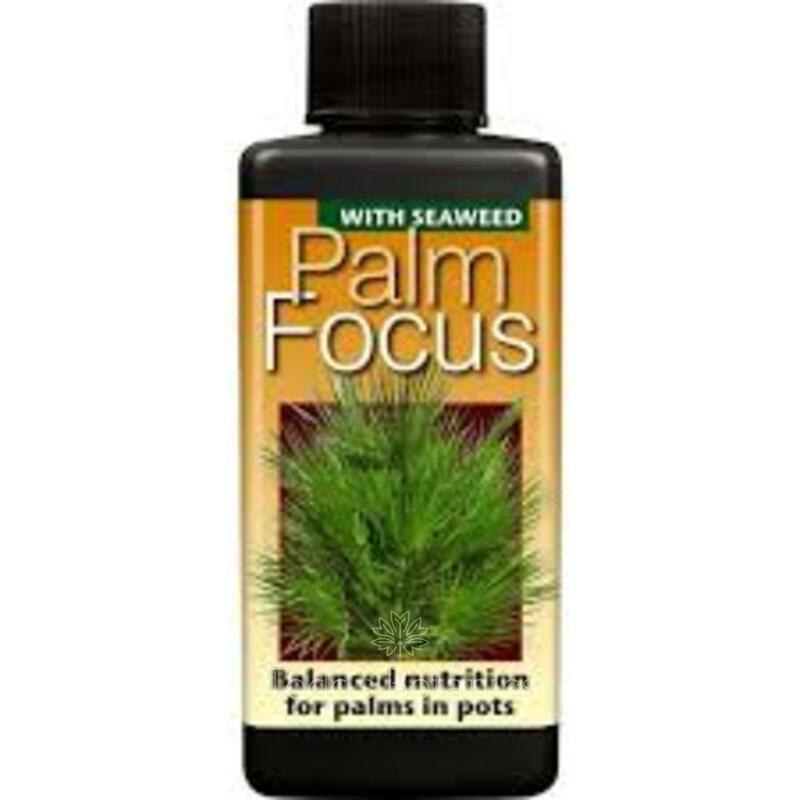 None to note, palms can suffer with Spider Mite, but those grown outside will be unaffected. Very cold tolerant, will withstand temperatures as low as -15C without damage.